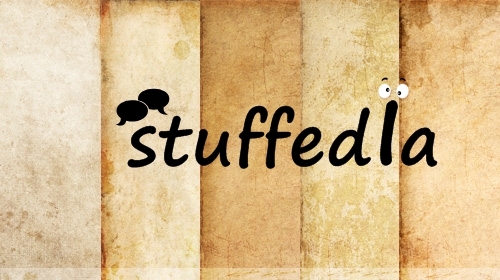 Hello everyone, I'm back with another review~ This time I'll review a sheet mask from My Beauty Diary that I got from Stuffedia on my birthday. 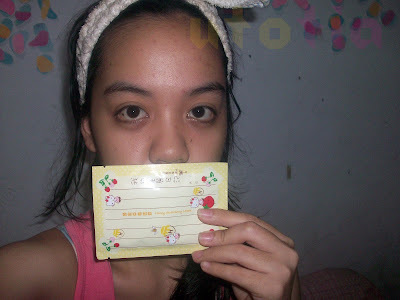 So, the mask that I tried this time is My Beauty Diary - Honey Strawberry Mask. 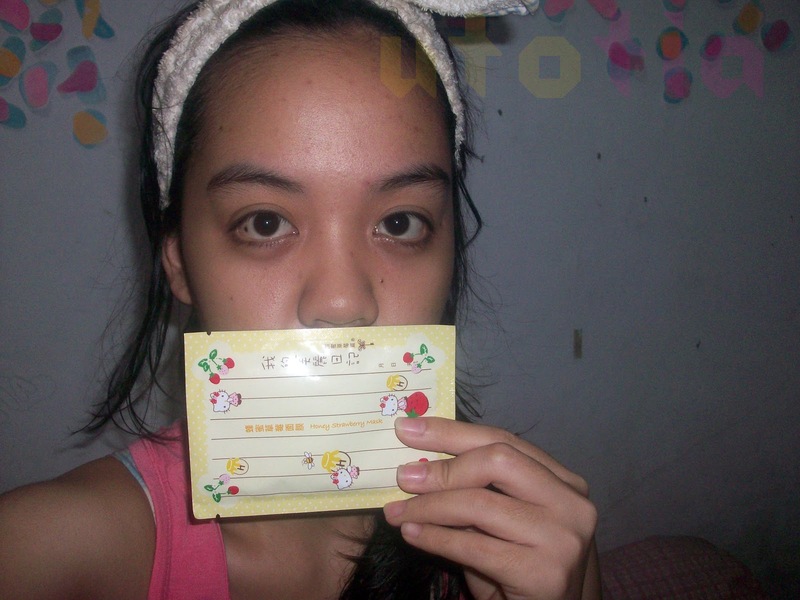 It has a very cute and eye-catchy packaging with pastel yellow color and Hello Kitty! (Yes, I used to collect Hello Kitty things during my childhood). The writings are mostly in Chinese, so aside from it I do not know what it means, LOL. Luckily, it provides the English ingredients so at least I know what the ingredients are. So the ingredients to be concerned are the ones which located on the top. So, this mask contains Butylene Glycol, Glycerin, and Propylene Glycol act as humectant. One thing to be considered more is Propylene Glycol, I search through Mr. Google and find out that it has been associated with irritant and allergic contact dermatitis as well as contact urticaria in humans. So for those of you who has sensitive skin, you gotta watch out for this ingredients. Then it also contains Aloe Barbadensis Leaf Juice, which is known for being cooling properties (helps heal sunburns), protecting skin from UV damage, and also help with other skin lesions, wounds, and radiation burns, as well as acne, pimples, and rosacea. Sodium PCA, Sodium Hyaluronate, and Honey Extract help as humectant and anti-inflammatory. So, above is my bare-face without any toner and moisturizer, it was after rinsing my plain yogurt mask. And I will definitely use this Honey Strawberry Mask! I like this mask because this is my first time using sheet mask that fits my face perfectly! LOL. But yes, most of the time I can't fit the mask right and it's annoying. This mask fits my face, yay. I also feel that this mask has a really good soothing and cooling effect. I left the mask for approximately 20 minutes and peel it. Nah, after the mask was removed, I gently massaged my whole face so that the liquid absorbed to my skin. I got to say that the liquid is very thick and it took so long to let it absorbed. There were a lot of liquid left in the packaging too, so I use all of it to my face and neck, and keep massaging. After applying this mask to my face, I also put some of the liquid to the hypertrophic scar (post-surgery) on my calf. I tried this since it contains so many healing ingredients (Aloe, Honey, Pineapple, Betula Alba Bark, etc. ), it improves a little bit (it becomes brighter). I have to say that this mask has done a really good job for quite affordable price. It left my skin soothed and also improve my complexion. Moreover, the packaging is also cute (packaging-whore) and tempting! But, since it gave me itchy feelings than I guess this product is not your first choice if you have a sensitive skin. You can buy this My Beauty Diary Mask at Stuffedia and mention "UTOTIA6" to get 6% discount for My Beauty Diary Mask purchase. Have a great long-weekend, ladies! wow! menarik buat dicoba nih! 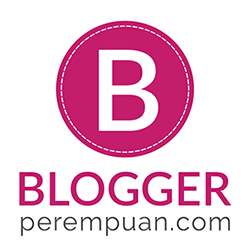 Perawatan Kulit di Malam Hari: Penting!